Cook the onion for 5 minutes in a little olive oil. Add the potatoes and cook for a few minutes, stirring occasionally. Season well. 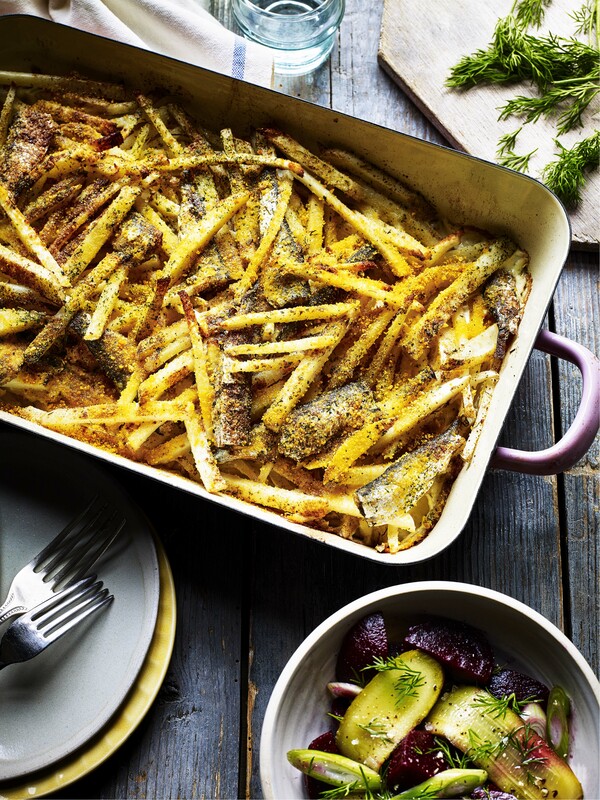 Put half the potatoes in a roasting tray and lay half the sprats and kale on top. Repeat. Pour in the cream and milk and sprinkle over the breadcrumbs and a little salt and pepper.